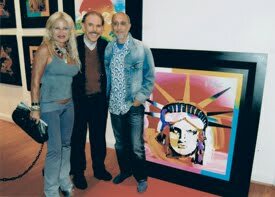 The Peter Max LOVE artwork is perhaps one of the most renowned and seen reflections of the Sixties POP culture, along with Indiana's, it has become part of American Art history. There are thousands of posters, serigraphs, lithographs and acrylic on canvas pieces of all sizes and colors, but seldom I've had the opportunity of seeing and original 1968 canvas, perhaps one of the few available international. 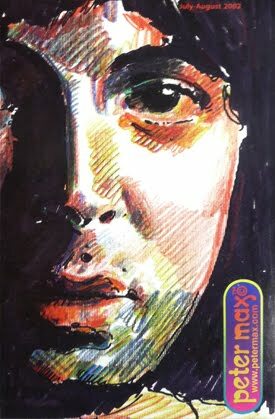 It was sold this week on ebay for a "confidential" price, that to me, was extremely low, since the intrinsic value of that piece, not today, nor tomorrow, but as soon as this recession recedes or in a decade or so, it will be much more. 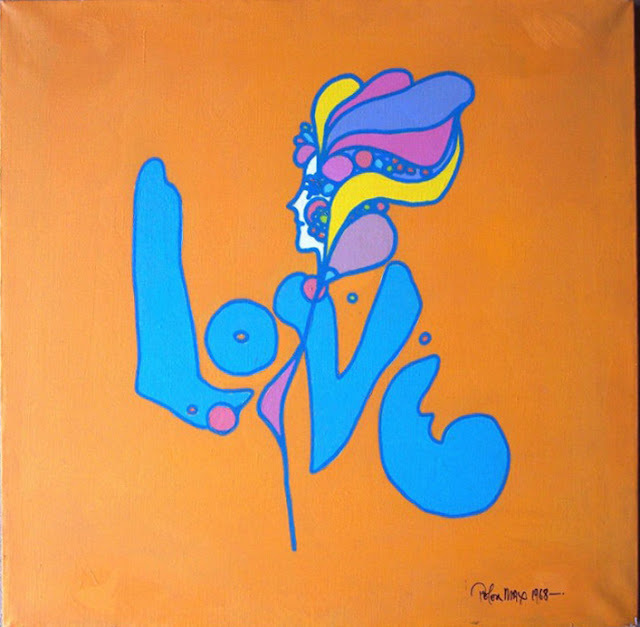 This "LOVE" is one of the authentic hand made, PETER MAX pieces belonging to the best period of creation of the author. Congratulations to the new proud owner. This spectacular piece of original artwork, acrylic on canvas, was done in 1968 by art icon Peter Max, and is from director Ralph Bakshi's ("Fritz the Cat", "Lord of the Rings", "Mighty Mouse") personal art archives. 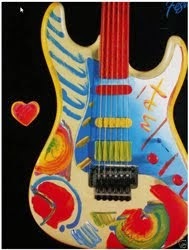 This original art was a present given to Ralph in 1969 by Peter Max. 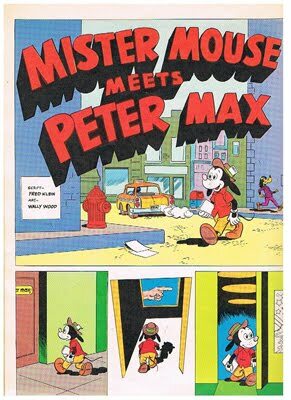 They worked together in New York at Ralph's Spot doing animated commercials 1968-1970 until Ralph had to take Fritz the Cat to Los Angeles to complete its production. EXCLUSIVE: THE "WHERE" Covered America!